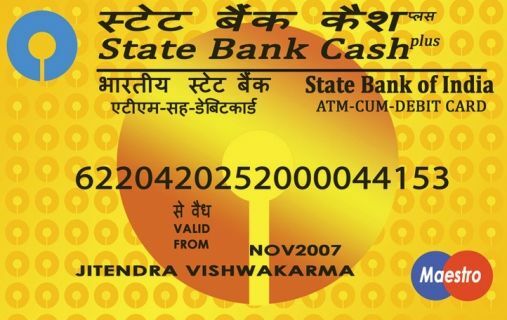 A One time password (OTP) is a unique number or sometimes, an alphanumeric code generated and sent by the sbi bank information software to your registered mobile number by an SMS which a user can use to transact online. OTP is a unique number which is valid only for that particular transaction and will have to be used within a stipulated time period (usually for 10 minutes), after which the password expires and a new one needs to be generated to continue the transaction if not used within the time. The OTP is generated when a user is online and has typed in the card number and also details w.r.t unique 3 digit no on the back of the card and card validity date. The user needs to again type in the password received on the mobile number and complete the transaction. If you have maestro, visa, master or credit card in State bank of India, you need to enter one time password to complete the online transactions. Similarly, you can get otp for HDFC, Citibank, ICICI, PNB, Axis, BOB, BOI, Canara and other Indian Banks Card. Read the payment options and instructions given in the merchant website carefully and follow them diligently. Be sure that the payment options and bank details selected are correct. When prompted, type in your name (as it appears in bank records) and the 16 digit bank card number on the front of the card. Type in the 3 digit unique number on the back of the card. Enter the card validity date and submit. Once the above is done correctly, you may see a message on the computer screen that an OTP will be sent to you shortly to your registered mobile number. Once the OTP is received on your mobile, and the webpage changes to a 3D secure page, type in the OTP in the relevant text box and submit to authenticate and finish the transaction. Wait till you see a message confirming that the transaction has finished and save the transaction number for future reference. Contact 39020202 SBI helpline in case of difficulty. If the OTP is not typed in correctly for more than 3 times, your card can get blocked and future transactions may not be possible. OTP can be requested only 5 times during a transaction, in case it expires before being used in the transaction. Ensure that the merchant with whom the transaction is being made has a secure site and recognizes SBI cards. Preferably transact from websites which have https:\\ as these are more secure. I have no otp number do you give my otp. My registered mobile no and mobile no in profile are different. I receive sms alerts in my profile mobile no. Where will I receive pro? To registered no or to profile phone no? How to get otp to Transfar money from sbi to axis bank.